What makes Cell Charge different? How do I use Cell Charge to make a transaction? How will I save money using CellCharge? What information do I need to properly fill out the Merchant Account application? What is the credit card’s CVV2 number? What if I try it and don’t like it? Can I change my merchant pin? Can I raise my Monthly processing limit? Can I raise my approved highest ticket? How do I get more Credit Card slips? Where is my Welcome Package? What is my settlement fee? How do I get a copy of my Terms and Conditions? If I have another location, do I need a separate account? My money is not in my account yet, what do I do? How do I change my checking account information? Can I charge my own credit card? A merchant account allows a business to accept credit cards as payment from customers. The account captures funds from the card holder’s processing bank and deposits the money into the business owner’s checking account. CellCharge uses a unique phone system that allows businesses to key credit card information into their existing phone to receive instant card approval and have the corresponding funds deposited into their existing checking account. Like other providers, CellCharge lets you accept credit cards and have the funds deposited in your bank account automatically. Unlike the others, you don’t need a “swipe” terminal or any computer software to use CellCharge. An existing telephone or cell phone is all you need to make transactions with us. CellCharge is also unique in that it does not require any length of contract to process. You can cancel anytime you wish, and at no cost to you. Our fees are simple to understand, so you always know what you are being charged to use the service. Our easy application is simple and fast, we can have you accepting credit cards in 24 hours. How do I use CellCharge to make a transaction? CellCharge has eliminated all of the normal fees associated with credit card processing to bring you a low, bundled rate that includes virtually all of your costs. Cell Charge costs $99 when you sign up and $8.99 a month until you cancel. You can cancel at any time at no cost. The cost to use the service is 3.85% of each transaction. There are no other fees or hidden charges with CellCharge. See our savings chart to see how much we can save you! How will I save money using Cell Charge? Confused by all the rates and fees that other companies charge for handling credit cards? There are set up fees, statement fees, transaction fees, access fees, customer service fees, and so many others that it’s difficult to have a clear picture of what you are being charged. You can never figure out who is better, and who has the lowest cost. You look just at the discount rate and sign a contract hoping for the best. Then, you find out that the quoted rate isn’t your only cost, but you are trapped in a two-year contract. Just ask your business friends! When is 3.85% lower than 2.45%? Answer: When you add all the processing fees together. The result with CellCharge is a lower overall monthly cost for the transactions processed. The one-rate plan for small business is simple to understand. 3.85% per transaction, plus a low $9.99 monthly access fee – that’s it! There are no transaction fees, statement fees, minimums, lease fees, or termination fees. Do you want a low rate or a low total bill? It turns out that the CellCharge plan is much lower overall than those so called low rate plans. These “low rate” plans only cost less when you start processing upwards of nine thousand dollars every month. The real cost of a merchant account is the total amount that you spend to process transactions, not merely the rate that is quoted. Cell Charge uses a telephone to process all of your transactions. This is great news for those small businesses that don’t process huge volumes of credit card transactions each month. The CellCharge Program eliminates the high up front/on-going costs for purchasing a swiping terminal that can amount to $500-$2,000; or a lease that may run $40-$60 per month for 4-5 YEARS. In addition, you will not need to add another dedicated phone line which can run as much as $33/month for the swiping terminal to work. You would need to process $9,100 per month to make any of these programs worthwhile. Avoid these costs and the commitment to a long term contract and equipment lease by choosing Cell Charge instead. With the CellCharge Deluxe Package, Members get everything they need to begin accepting credit cards. Other credit card processors enter you into a long-term contract. These contracts come in two forms: First, all other companies require a 3-5 year lease for the expensive equipment plus hefty monthly fees. These payments must be made no matter what you process that month, and are typically at $40-$60/month. Second, other companies require a service contract with a lot more fees that are automatically renewed every year. There is a small window to cancel, but a big penalty if you miss it. This is designed to make even unhappy customers continue to pay. CellCharge has NONE of these! Our system has no hidden charges for mid-rates and special processing. Our rates do not vary; we charge all merchants the same 3.85% and $9.99 per month. On our secure website, Cell Charge provides a simple online application that requires just enough information for CellCharge to process your credit card transactions and put the proceeds in your bank. The information you provide is sent over an encrypted secure network and will not be sold or shared with anyone other than the institutions necessary to process transactions. If you have questions please contact our customer service agents at (866) SELL BY CELL (866 735-5292). Once you have sent the application form to us, our customer service department will contact you to finalize your account. The transaction usually requires 3 business days. Occasional delays may occur outside of our control. If you have a question about a deposit, call customer service at (866) 735-5292 , or email accounting@cellcharge.com. Yes, you can change your pin. The person on the account must call Customer Service at (866) 735-5292 . Please have three optional 6 digit numbers you would like to use. Customer Service will process the request and give instructions for proceeding. There may be a small administrative fee for making the change. Processing limits are set in accordance with our bank’s credit criteria. Merchants can contact Customer Service with their request for an increase of their processing limits. Based on information in our system, Customer Service will take the request and advise the merchant of the procedure in their special instance. Do not accept more in charges in any given 30-day period than you are allotted by CellCharge. If you foresee a month with excessive charges, contact the risk department at (866) 735-5292 prior to reaching your 30 day limit to discuss possible solutions. Highest ticket limits are set in accordance with our bank’s credit criteria. Merchants can contact Customer Service with their request for an increase of their high ticket limit. Based on information in our system, Customer Service will take the request and advise the merchant of the procedure in their special instance. Do not accept charges for more than your current high ticket allowance. If you have a higher ticket than your present limit and would like to find out if you can process it, call risk at (866) 735-5292 . Merchants can call (866) SELL BY CELL (866 735-5292) or email supplies@cellcharge.com and request additional sales slips. Sales slips are mailed out the day after the request. Merchants must allow enough time for delivery, usually 3 business days. Expedited orders are sent only with the merchant paying an additional “rush” shipping fee. Welcome kits are mailed the day after the merchant account is approved. They include 5 sales drafts, a copy of the Terms and Conditions, an instruction card on how to make transactions, and a supply order form. If you have not received your Welcome Kit within 5 days of that date, please email accounting@cellcharge.com or call 877-514-1400 . We will need to verify your mailing address. 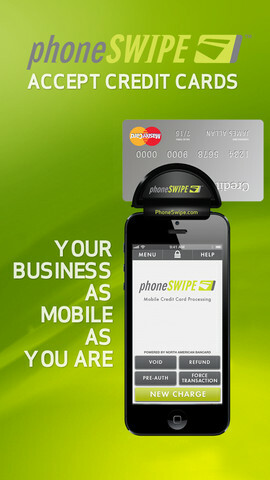 You can obtain you Merchant PIN by calling (866) 750-0269. Listen for the proper prompt and enter your social security number. Please note, you must enter the Social Security number for the primary owner that is listed on the application. Your settlement fee is the discount rate you agreed to on your merchant application. A copy of your Terms and Conditions is included in your Welcome Kit. Applications are processed via mail, fax, and phone. You may also view the Terms and Conditions from this web site. Please call (866) 735-5292 or email customerservice@cellcharge.com with your request. Only the person who opened the account may request the account be closed. Credit card processing rules state that each location must have their own merchant account. Different types of business and difference locations are two reasons for having separate accounts. Call Customer Service (866) 735-5292 to have your processing and checking account verified. Be prepared with you checking account information for verification. Customer Service will research your problem. Checking account changes must be in writing from the owner of record. Please fax the request with a copy of a voided check and front page of the corresponding bank statement to (866) 209-4446. Please allow 7 days for any changes to take affect. In the meantime, do not close your previous account in case transactions and deposits are in process. Any recent charges will not be able to be changed, but will continue to go to the old account. A test transaction of between $2.00 and $5.00 is recommended in order to verify that your account is working properly. Any merchant that charges their own card for more than $5.00 faces fines and termination of their merchant account. Credit card processing rules are very strict and a test transaction is the only exception, as charging the merchant’s own card is considered circumventing the cash advance laws by Visa and MasterCard. If you have a question about a test transaction or the subsequent deposit, call customer service at (866) 735-5292 . This is the 3 digit security code located on the back of the card on the signature panel. Note: This applies to all Visa, MasterCard, and Discover cards. For an American Express card, the CVV2 number is a four digit number located on the front of the card. 3653 East Thousand Oaks Blvd. Upon receipt of your imprinter kit, a full refund will be issued.